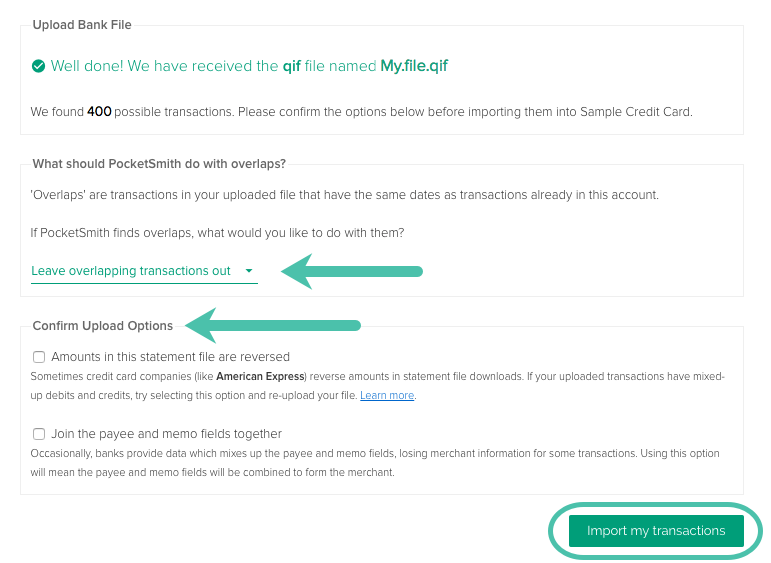 You can move your accounts and transactions from Microsoft Money to PocketSmith. Use the custom import tool to bring your data over in just a few seconds. The file name and folder where the exported QIF data should be saved on your computer. Files must be OFX, QFX or QIF format. 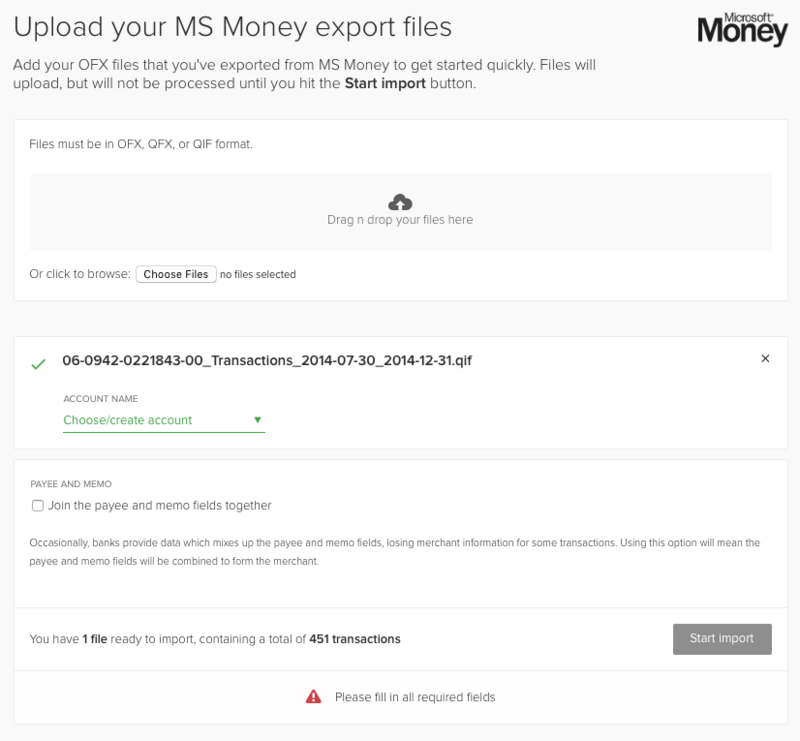 CSV file formats are not supported with the MS Money importer. Now that you have your Microsoft Money file(s) ready to import into your PocketSmith account, you can access the importer easily from here - Microsoft Money importer. Just follow the instructions below! Select your exported Microsoft Money files from your computer and drag and drop them directly onto the page. PocketSmith will show you each of your uploaded accounts. Add account names, banks names and balances. Hooray! You have now successfully migrated from MS Money to PocketSmith!